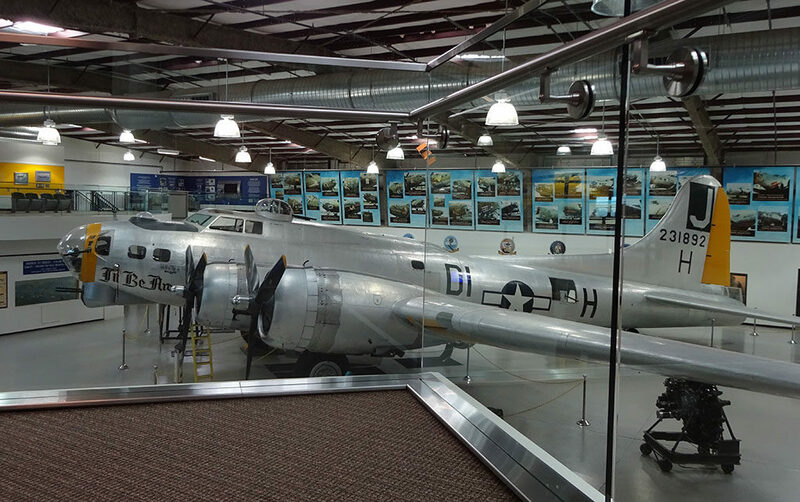 Shown: the 390th Memorial Museum’s B-17 I’ll Be Around will be featured on a popular Travel Channel TV series. The B-17G I’ll Be Around will be a featured object in a story on Mysteries at the Museum, a popular Travel Channel TV series. “Dickens to the Rescue, Check Off to Take Off and Waterlogged Whiskers” premieres on Thursday, May, 24 at 9:00 p.m. ET/PT. Don Wildman investigates a beloved British author’s heroics in the face of a real-life cliffhanger, a plane crash that forever changed aviation safety and the clever cup that saved a popular facial hair fad. Host Don Wildman digs into the world’s greatest institutions to unearth extraordinary relics that reveal incredible secrets from the past. Through compelling interviews, rare archival footage and arresting recreations, Mysteries at the Museum illuminates the hidden treasures at the heart of history’s most incredible triumphs, sensational crimes and bizarre encounters. For more information about Mysteries at the Museum, visit the show’s website or follow on social media @Travelchannel and #MATM. Who Calibrated the Norden Bombsight?